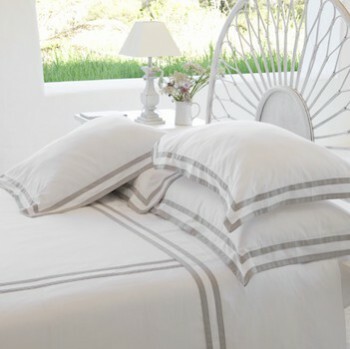 With a double applique band of satin on a 280 thread count white Egyptain cotton sateen, our 50x90cm tailored king pillowcase has a 7cm oxford border making the perfect place to rest your head or to add as a decorative sham. Made in Portugal with the attention to detail and quality only European made products have, Formentera is long lasting and launders beautifully becoming softer with every wash. 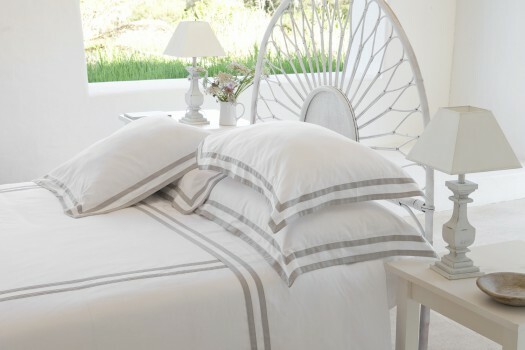 The high end look can be completed by adding the matching quilt cover or sheet set to capture the collection’s Mediterranean vibe and easy living feel. 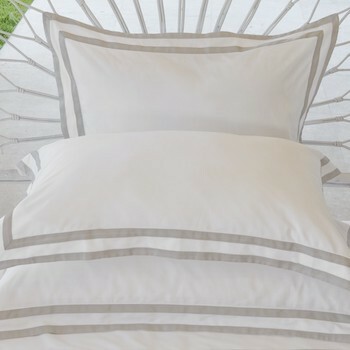 Coming in ash, Formentera`s tailored king pillowcases pair effortlessly with all our bedding collections and give numerous striking and stylish options to liven any bedroom in your home.